What has prompted Al Jazeera to wage relentless smear campaigns against Eritrea in the past few years? Qatari-Government funded TV Channel, Al Jazeera, published last week a defamatory article on Eritrea under the baffling title: “From Abu Dhabi to Washington: how Eritrea turned into a new African weapon”. 1) First off, Eritrea is not in the business of “mortgaging its territory” for “military bases” to external powers: US, Russia or others. 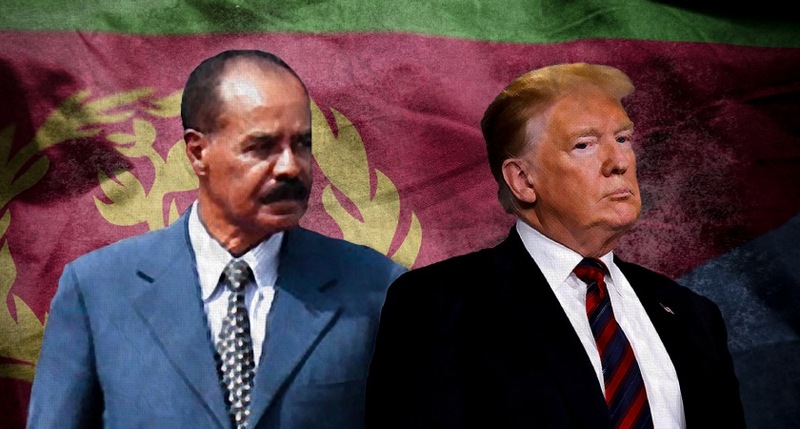 The fact is Eritrea has never gone out of its way “to offer military bases to the US”, or others who may indulge such ambitions, in order to curry favour with them or for short-term financial gains. Naturally, it has an interest in cultivating warm diplomatic and economic ties with the US and other countries on the basis of mutual respect. 2) Eritrea does not, also, pursue reckless policies and “military alliances with external powers” to advance strategies that precipitate instability and wreck havoc in the region. But, as a littoral Red Sea State, it has natural and legitimate interests in promoting and contributing, within its modest capabilities, to collective and viable security architectures for combating terrorism, piracy and other hegemonic designs that stoke crises to destabilize this vital international maritime route. 3) Al Jazeera falsely claims that Eritrea has offered military bases to Iran in the past. In the same breadth, Al Jazeera asserts that Eritrea also hosts “military presence and Israeli espionage center in the Dahlak Islands”. These allegations are not only patently false but they also defy logic and common sense. How can Eritrea host two mortal enemies in its territory? Would Eritrea be so blind to mix oil and fire and render itself a battlefield with all the perils that this entails? Furthermore, and this palpable arguments aside, Al Jeezera knows full well that there are no military bases in the Dahlak islands as these sites have long been destinations of ongoing Tourism Projects. 4) In pursuit of its strident and zealous disinformation campaigns, Al Jeezera further asserts, in the same article, that “the European Union agreed in 2015 to grant a package of 200 million Euros to Eritrea with promises to train the security and judicial services to combat human trafficking … and that in fact it can be classified as a common European bribe”. As it is well-known, Eritrea acceded in 1993, immediately after its formal independence, to the Cotonou Agreement that brings together the EU and 75 African and Caribbean countries. A cursory examination of publicly available documents would have revealed that Eritrea has benefited from EU development funds (EDF) that are disbursed to all ACP signatories in five-year cycles. The 200 million Euro support that Al Jazeera cites is indeed part and parcel of this 11th EDF development assistance that the EU implements with all ACP member States.